Elizabeth Buck, Ph.D., RN., is the assistant dean for nursing at Maryville University’s Catherine McAuley School of Nursing. Dr. Buck, an academic administrator since 1998, brings a student-first approach to doctoral specializations in nursing administration, helping nursing professionals advance their careers. 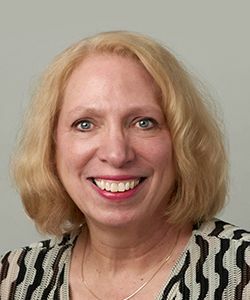 At Maryville, she is the chief faculty member for graduate online nursing courses in Leadership and Quality, Organizational Theory and Advanced Health Policy. Dr. Buck is a graduate of Penn State University and earned her diploma in nursing at the Hospital of the University of Pennsylvania. She obtained a BSN and MSN(R) at St. Louis University and a Ph.D. in nursing from the University of Texas at Austin. Before joining Maryville University, Dr. Buck served as academic dean at Barnes-Jewish College in St. Louis. She also served for 23 years in the U.S. Air Force as a flight nurse, retiring with the rank of Lt. Colonel.